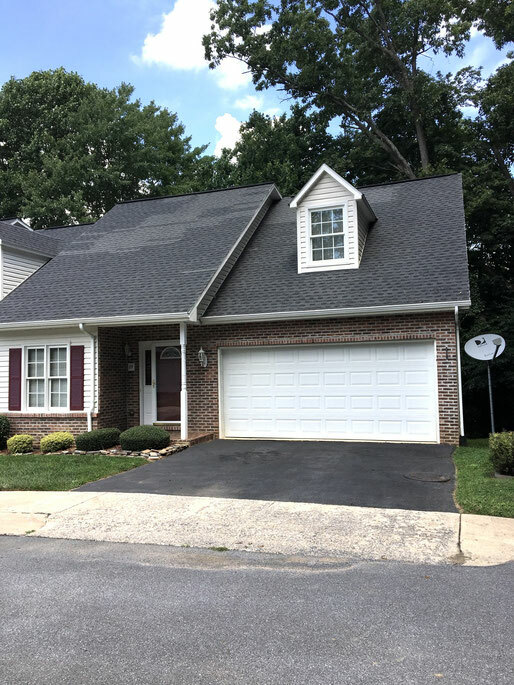 Custom, one owner, end unit condo with a two-car garage located convenient to ETSU, the VA, and med center. Entire home has been freshly painted with a neutral color and boasts beautiful hardwood flooring throughout. The open floor plan consists of a living room/dining room combination featuring a gas fireplace and a fully applianced eat-in kitchen. A laundry closet is conveniently located in the kitchen and includes washer and dryer. The master bedroom is on the main level and features an en suite bath and large, walk-in closet. Upstairs offers two huge bedrooms, impressive closets, and a Jack & Jill bath. Home has plantation blinds, and upgraded lighting and plumbing fixtures. The freshly painted back deck offers complete privacy. The two-car garage is lined with nice shelving for tons of additional storage. Come see all this lovely home has to offer!